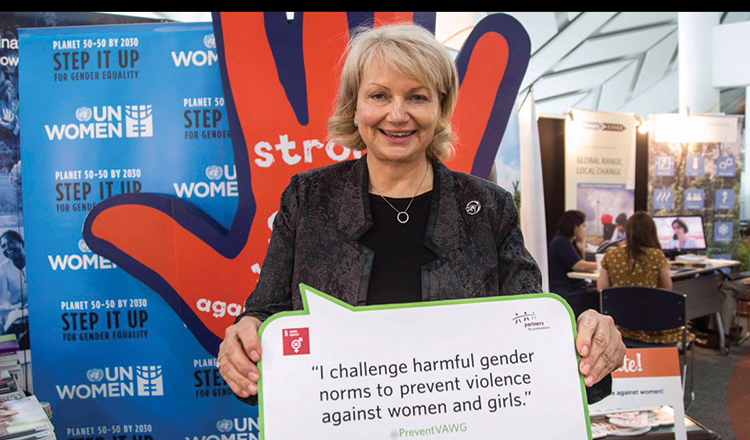 The world has seen huge leaps on women empowerment and gender equality in the past decade – women getting high positions in private and government sectors, women speaking out against harassment and abuse, women excelling in male-dominated sports and activities, etc. Cambodia, for its part, has also become a ground for women to succeed and be heard, with many females also making a buzz in businesses and other stuff. But then, there’s more to be done to completely break through the glass ceiling globally. In a step to further the development of women empowerment, Cambodia has sent a big delegation to the first ever Women’s Forum Singapore on September 12 to 14. 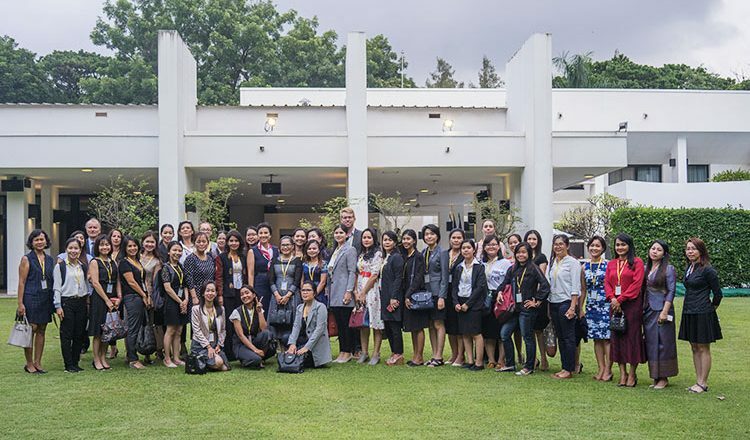 Before flying to Singapore, the delegates – at least 50 women and two men from government ministries, NGOS and private sector – gathered at the French Embassy in Phnom Penh last week for a send-off programme hosted by French Ambassador Eva Nguyen Binh. 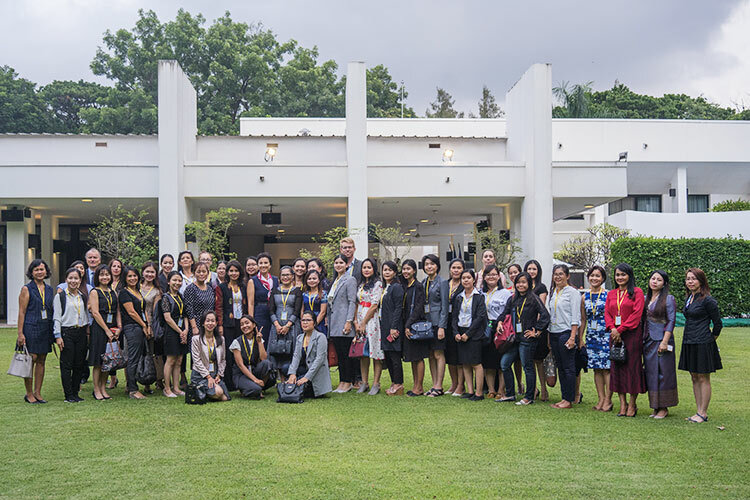 Ambassador Nguyen Binh told the Cambodian delegates that the forum in Singapore is a way to enable women to voice out their opinions and perspectives, and eventually be heard in the global arena. Following latest trends, she said that the forum is centered on the idea of innovation. 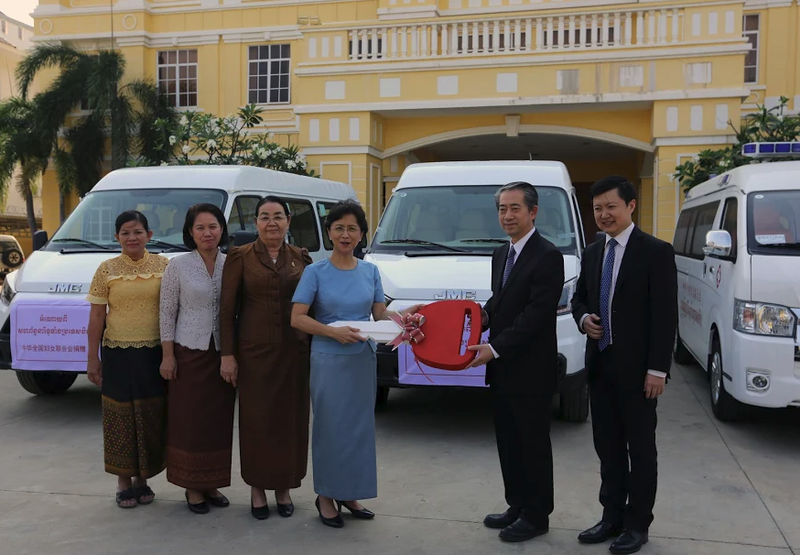 With the Women’s Forum being an avenue for high-level debates among influential and successful women around the globe, Ambassador Nguyen Binh hopes that Cambodian women will be able to get the right exposure and be motivated more in pursuing their passion and advocacies. Sdeung Phearong, founder of volunteer group Joint of Youth Cambodia, said that joining the forum in Singapore is a once in a lifetime chance to meet and learn from women in various backgrounds about diverse issues and topics. “I want to learn how those women dealt with the problems they faced, what they have contributed to society and through what forms. Also, I want to share my story on how I keep going and contributing to my society. I can get a decent job, for sure. But I want to keep doing what I am currently doing. I want to cultivate seed of love and compassion to youth in this generation,” said Phearong, adding that she is excited to learn new things from the speakers and delegates of the Singapore forum. Menno de Block, author of ‘Diving Deep, Going Far’, is one of the two men from Cambodia who joined this week’s forum. He said that he wants to be part of the movement to push for women’s rights. His book, which was launched just a few months ago, bear stories of the strong but unheard women of the kingdom. 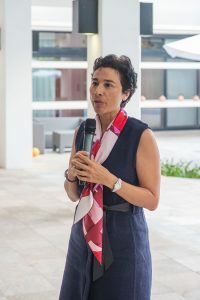 The three-day event in Singapore is part of the Women’s Forum for the Economy and Society, a French initiative that started in 2005 to provide international platform for women to look at major social and economic issues through their perspective.